Jurgen Klopp accepts Alberto Moreno is unhappy with a lack of opportunities this season, but says his door remains open to the Liverpool left-back. 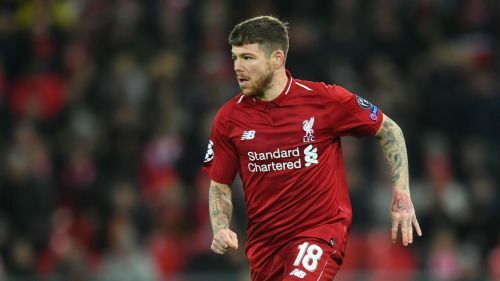 Moreno aired his frustration in an interview on Spanish radio having made only two Premier League appearances and featured once off the bench in the Champions League. The fine form of Scotland captain Andy Robertson for the Premier League leaders has reduced chances for Moreno, who has been out of action with a back injury, to play. "I hurt myself giving everything for this team and I think that when I came back from injury, I deserved an opportunity," Moreno said to Cadena Ser. "The situation is normal for a lot of players but simply, I did not like the way he [Klopp] has treated me." Klopp sympathised with Moreno's situation, but said the defender - who confirmed his intention to leave the club - should come to him with his concerns rather than airing grievances through the media. "I'm still not prepared to say something to be honest," Klopp told a news conference. "How I deal with things like that is usually; my door is not always literally open, but it's always open if somebody wants to talk. As long as they don't talk to me, it doesn't really exist! "But that Alberto is not happy with not having too much minutes, it's obvious. The more important thing is he never shows it in any training sessions, he's a fantastic professional and trains really well when he can. "The last couple of weeks he has had back problems and that kept him out of a lot of sessions. Yesterday was the first session it looked 100 per cent good again. That's all." Moreno captained Liverpool in pre-season and in November 2017 he missed the birth of his child so he could feature in the Reds' 3-0 win over Southampton. Liverpool, six points clear at the top of the Premier League, are next in action at home to Arsenal on Saturday before travelling to stumbling champions Manchester City next week. Believer to Doubter? Is it time for Jurgen Klopp to doubt a few of his players? How perfect is Lloyd Kelly for Liverpool?